This package takes the Majik DSM one box system and matches it with Majik 109 speakers for optimum performance in even limited spaces. Earn 3485 loyalty points when you order this item. Linn Majik DSM System with Majik 109 Speakers lets you rediscover your music collection with a system that delivers truly high-end sound without the need for floorstanding speakers. If space is at a premium, you can enjoy Linn quality in a compact package. Close your eyes when you listen to these speakers and you'll think you’re listening to a floorstanding speaker. 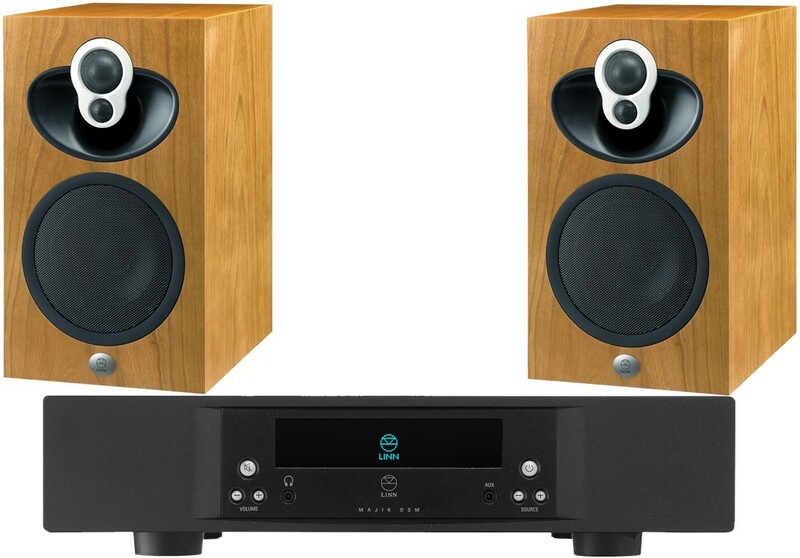 Technologies like the reinforced cabinet and 2K driver array — derived from Linn’s flagship speakers — enable the Majik 109 to deliver a toe-tapping musical performance wherever you position them; on a bookshelf, wall or on the specially designed, optional stands. Stream all your online music, listen to Internet radio, or connect your TV. Whatever you're listening to, Majik DSM gives you access to it all in one place, and all in stunning sound quality. Like all Linn's network music players, it has Space Optimisation built in, so you'll hear a performance personalised for you and your room's unique characteristics. Stream everything, connect anything. 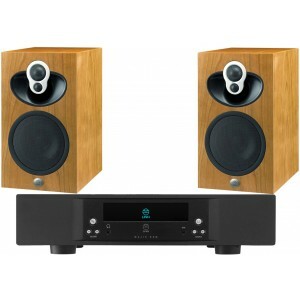 With a Linn DS player, inputs for all your other sources and built-in amplification, Majik DSM has it all covered.